This is a new thread JUST for limited time Carrara store item sales. -Don’t post comments, please, because if somebody is subscribed to this thread they expect a new freebie when they get a new message alert. 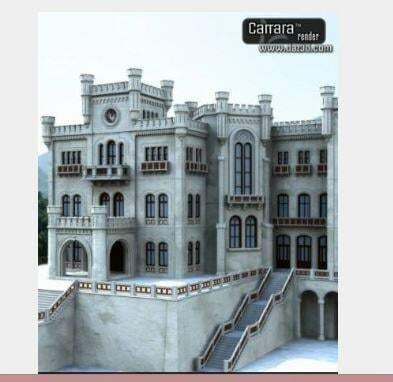 -Items with Carrara specific support only, there are sales for DS or Poser covered in other threads. The idea of this thread is that most are getting emails for new messages quite fast. To get subscribed, just click the “Subscribe to This Thread” link at the top of the thread or on the “Notify me via email when someone posts in this thread” below when posting a new sale. First and most important sale is of course the Carrara 8.5 Pro sale, it is 40% off and is a much better deal than the regular Carrara 8.5 that should be avoided. If you get the PC membership first (24$ for 3 months), then the price for Carrara 8.5 Pro is 37$. -64-bit support - Critical for 3D rendering which often needs more than 2GB of RAM. Standard would run out of RAM often. To get subscribed, just click on the “Notify me via email when someone posts in this thread” below. Make sure you get mail alerts for new messages in “Your Control Panel” (above the grey bar with the title of the thread), “Email Settings”. New sale today on training, basically 50% training videos for Carrara, when buying the Luxus plugin for DAZ Studio. /EDIT Thanks Dart, OP updated. Wow, didn't realize someone did a free Carrara shader for Urban Sprawl 2, good stuff. I've been wanting the Badlands for a long time and finally got it this morning. Thanks, Dart. So, after telling everyone, I had trouble getting paypal to process my order, and then I forgot about it. So of course this morning they're all still sitting in my cart at full price. P.S. I've gotten the gist of Ecomantics down, but I can't access the old forum topic, and I'd like to learn more. Anyone remember anything from it? Post moved to the relevant thread. thanks. i couldn't find it. but now it's a redundant post. No more redundant that it was in a Howie Farkes thread, where it was Off Topic. A few Genesis2 Carrara shaders are on 60% flash sale now. Huge Carrara 8.5 Pro sale in the "Throwback Thursday" sale, 60% off when buying 3 items in the sale and it is actually cheaper to buy 2 other items at the same time than just Carrara alone. The PC membership includes rebate coupons worth at least 24$ and many more benefits listed on the link above. Carrara 8 (not 8.5 I think) shipped with one set of M4 shaders since it included the M4 Pro bundle. Pick up some Carrara shaders at low cost.